"Milan is one of the fashion capitals of the world." This was one of the catch-phrases which I kept on saying to myself when I chose to go to Milan. After our adventure in Spain, it was either: go to Portugal, or explore Spain more or go to Italy. I chose the last option because I haven't been to Italy yet. I figured I might as well visit Italy since I don't know when I'll be back in Europe. J, as usual, came on-board with the idea as well. After all, Italy is home to our favorite food - pizza and pasta! That alone is something worth visiting. But I'd leave that one adventure out for my foodie post later. Back in Spain, it was still warm and sunny so the harsh reality (and the shivers that came with it) of autumn hit us hard when we reached Milan. 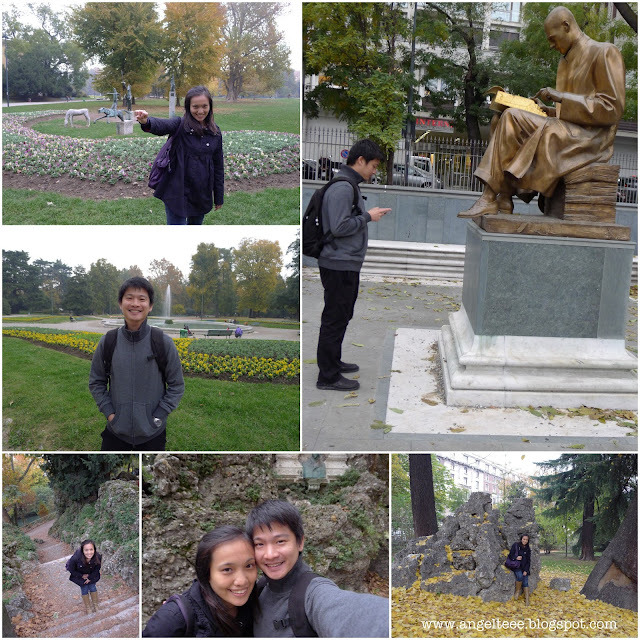 Nevertheless, we explored the city and loved it the same. The iconic Duomo Cathedral was the first on the list. It's my favorite tourist spot in Milan. There's just something with being surrounded by and chasing doves outside the cathedral (J said he'll compile a video of "crazy" me running after the "poor" doves in Italy, haha! ), and admiring the cathedral from the outside. Going to the top and being surrounded by spires and seeing the cathedral in a different perspective was something too. I loved how beautiful and breath-taking Milan looked from the top, with the spires as the backdrop. 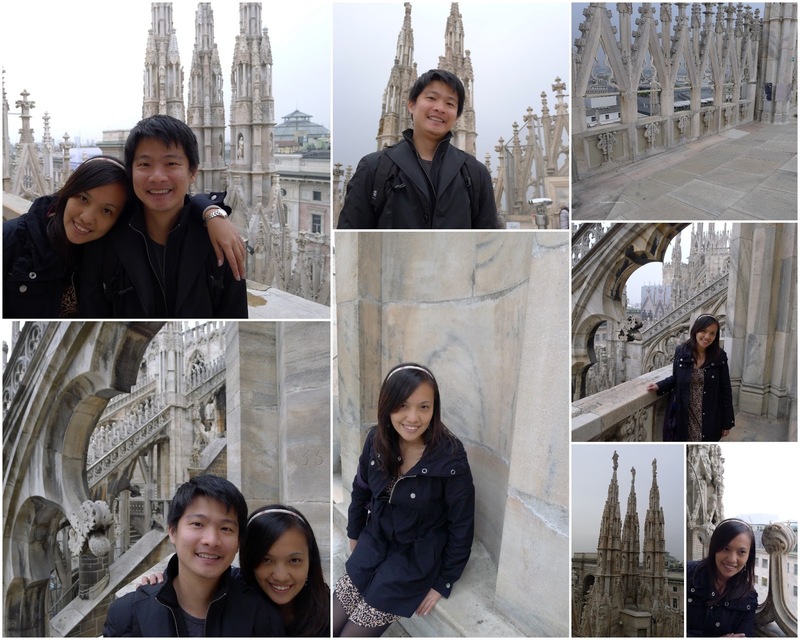 The Duomo was probably the place where we spent most of our time at. 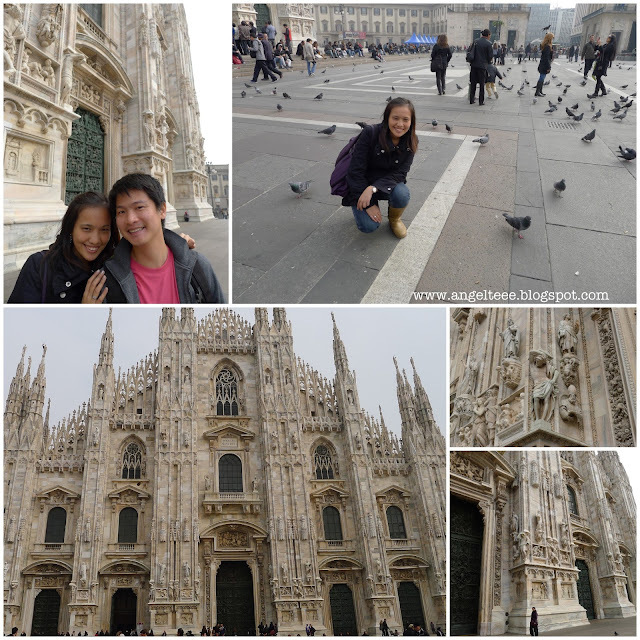 Duomo di Milano outside the Duomo. 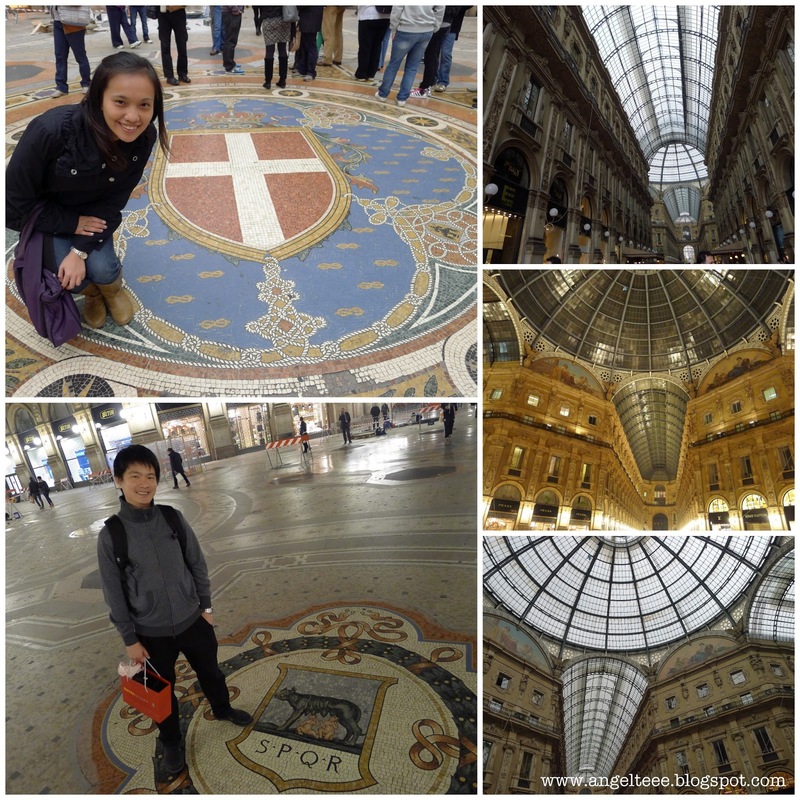 Just within reach was the Galleria Vittorio Emanuele II and the Palazzo Reale (Royal Palace). 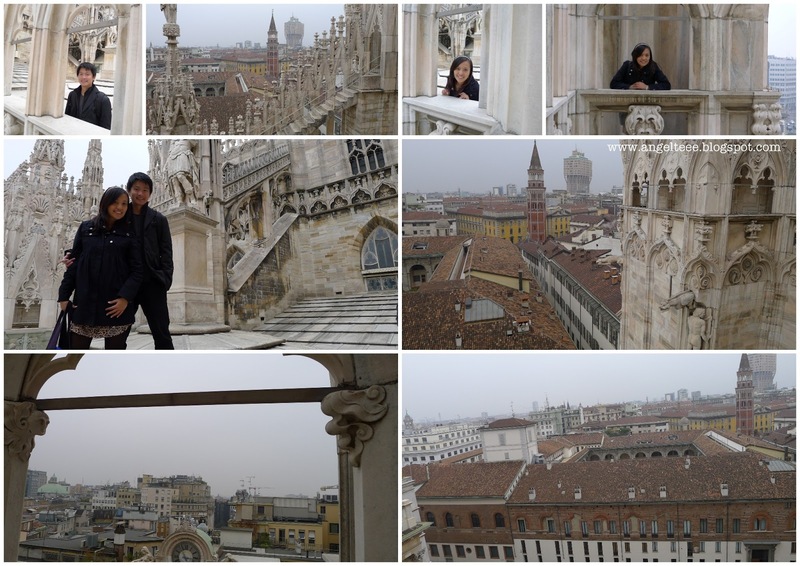 Both are located to the left and right of the Duomo, actually, all located in the Piazza del Duomo. 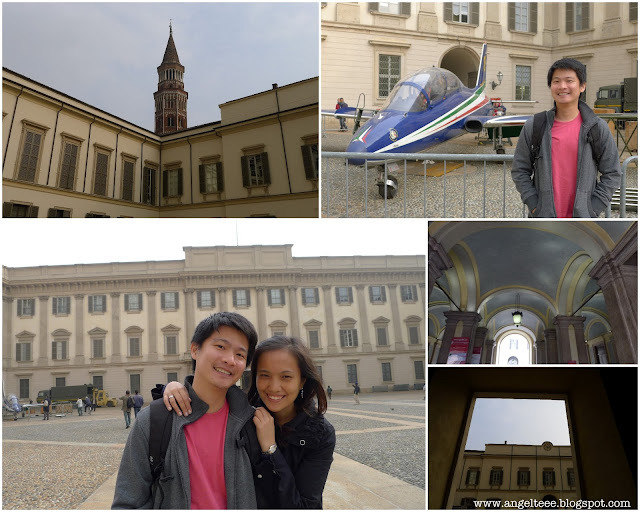 The Royal Palace was the seat of government for many centuries but is now home to expositions and exhibitions. On the other side, the Galleria Vittorio Emanuele II, is the oldest shopping mall in Italy. Around that time, Milan's streets were filled with elephant figures as a large exhibition. This was Elephant Parade Milan 2011, operating for public awareness on the conservation of the Asian elephant. 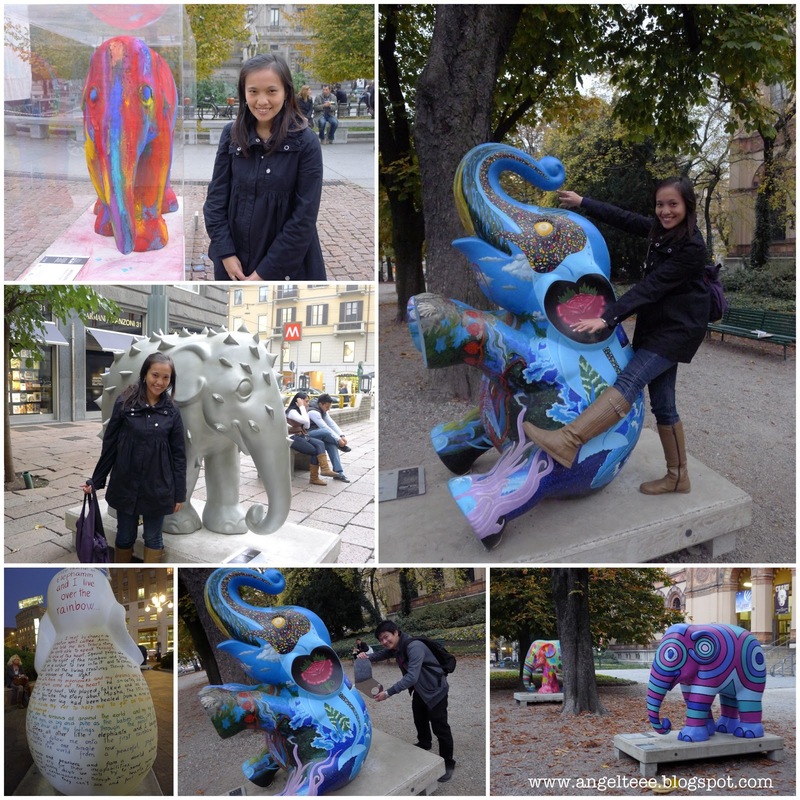 We sure had fun snapping photo after photo of these colorful elephant figures. 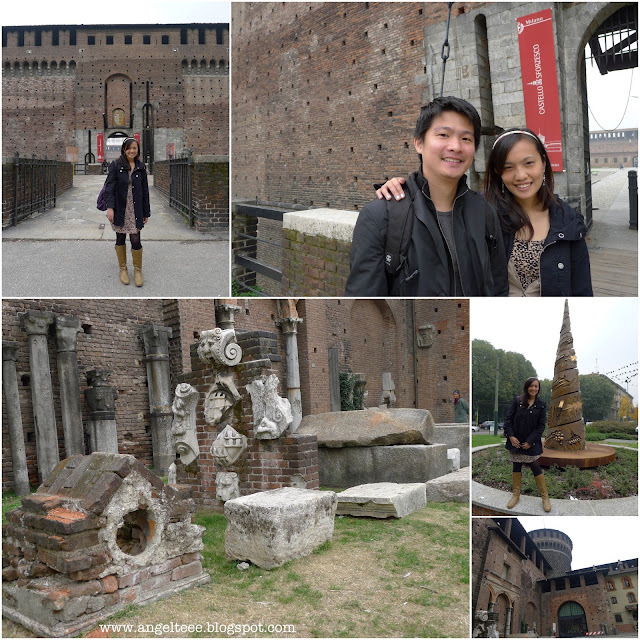 And because I am a sucker for castles, we headed to Castello Sforzesco! Probably one of the still-standing witnesses to Milan's history over the centuries, the castle stood as a symbol of power for the dukes and foreign dominators. Later on, it was used to host art collections and became the well-loved place of culture that it is now. Just within walking distance to the castle was the Arc de la Paix (The Arch of Peace). 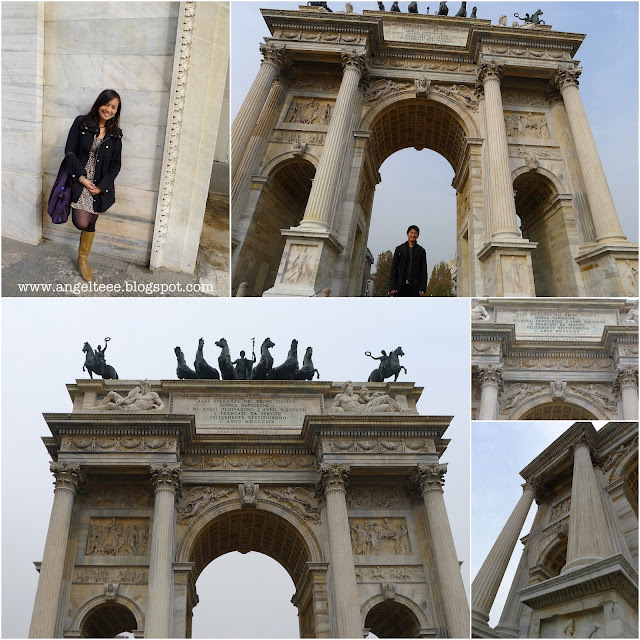 One of the interesting monuments from Neoclassical times is the Arch of Peace. Built during Napoleon's reign, this was completed in 1826 upon the orders of Franz I of Austria, dedicating the structure to signify European Peace. 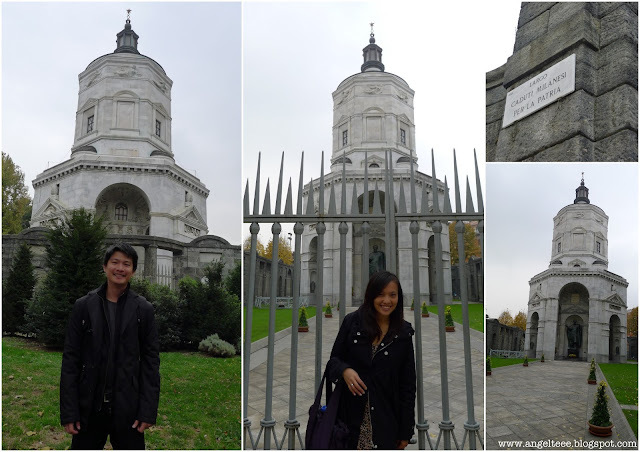 Then, it was another church visit - the Santa Maria delle Grazie. The Santa Maria delle Grazie, a church and Dominican convent, is in UNESCO's world heritage sites list. 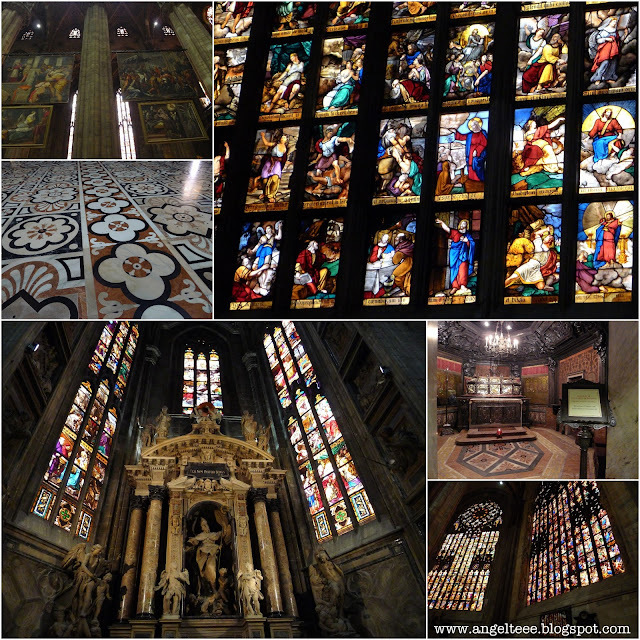 The church contains the mural of the Last Supper by Leonardo Da Vinci. We would've wanted to go in and see The Last Supper for ourselves, unfortunately, the convent was closed that day. We did a quick sneak-peek of the Carduti Milanesi per la Patria (Monument of the Fallen in the War Milanesi), also known as the war memorial. Lastly, the Palazzo Dugnani. One of the biggest noble and elegant residences in the city, surrounded by land and trees, the facade of the palazzo faces primarily the park side. Built in the 17th century for one of the elite Milanese families, it still stands today. 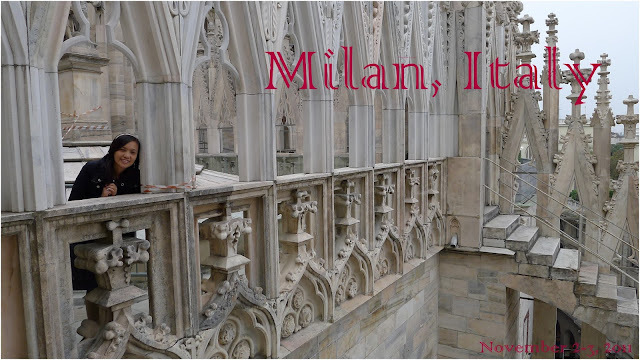 In the end, Milan was not just a fashion capital. 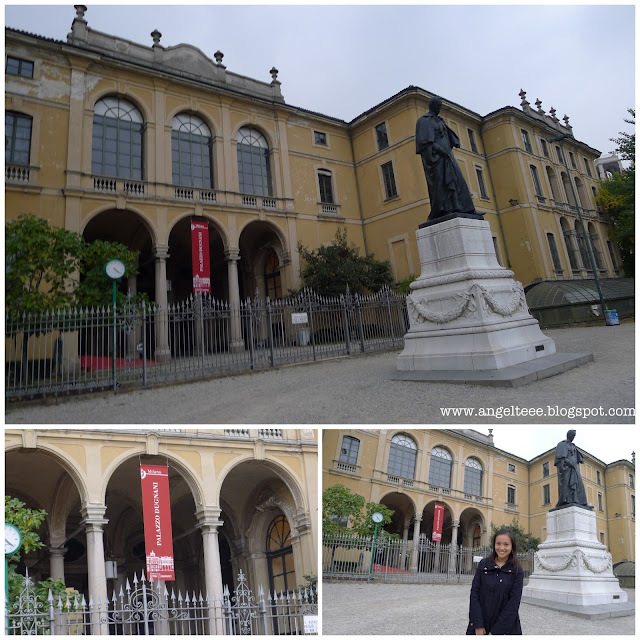 It too was an economic and art capital brimming with Gothic, Classical, Renaissance, and Neoclassical architecture and we enjoyed exploring the city, bit by bit.